The movement that is New York City can be so exhausting. Individuals, not just New Yorkers, have mini fires they have to put out everyday, but when you walk through your front door and remove your rich wool socks, wash your hands of the many surfaces you have touched, and exhale; you can cook. You can pour yourself a glass of Merlot, put on some Billie Holiday, and just be. As the Merlot warms the belly, remove the cellophane wrapped baby portobellos from the refrigerator and begin to undress them. With your thumbs, massage the head under running hot water, removing any dirt that may have lingered after being plucked from the earth. Place them in the colander and with your index finger and thumb, squeeze the stem and turn, decapitating the mushrooms, letting go of the unnecessary. One by one remove each body. With all the mushroom heads plucked, wash them under scalding hot water for your pleasure and theirs- just one last rinse. The onion and garlic that you chopped previously are fusing well in the pan and your home begins to fill with the scent of comfort. As your sauce begins to thicken, you can breathe again, for there is nothing better than giving yourself life after a long day. Once soft enough, pour into a colander to get rid of excess water. Add the potatoes back into the pot and begin to mash them. As you mash, add your butter, yogurt, and splash of milk. If you want them creamier add more milk. If you want them chunky, don't mash them for too long. Make them how you like. Stir in salt and pepper and enjoy! Once the kitchen is filled with the best scent ever, add mushrooms and allow them to cook down. You want them to brown nicely, become soft, and release their juices. After they have softened add your 1/4 cup of merlot. Allow for the mushrooms to soak up the red wine and simmer. Then add your vegetable broth. Bring things up to a boil and whisk in your flour. Make sure you do so a little at a time so you have no lumps. Allow for gravy to thicken and add salt and pepper to taste. 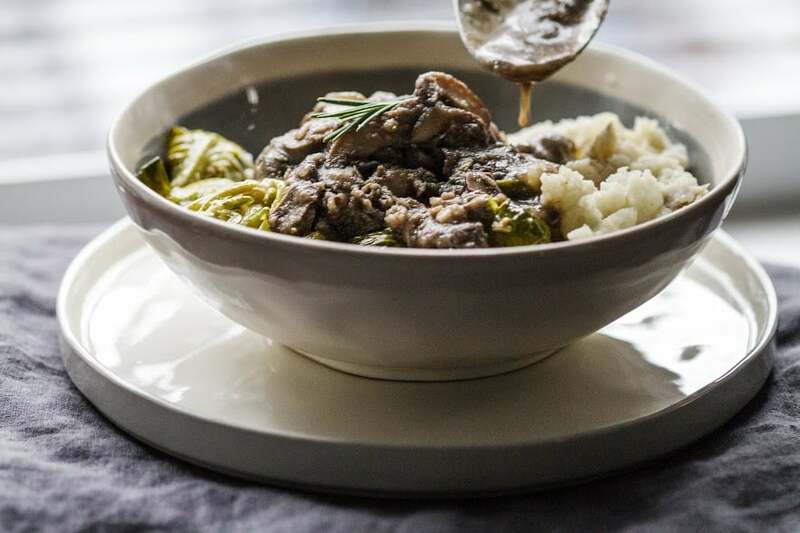 Serve gravy on mashed potatoes, pasta, or roasted vegetable.